Unless you have been living under a rock, you have probably heard of the The Hunger Games trilogy in both book and movie form. While most of us will never have to fight to the death with 23 others, there are still several themes in The Hunger Games that are applicable to those of us that love to travel (and live). Besides the scathing indictment of reality TV (which I wholeheartedly agree with), these are some of the lessons that directly apply to those of us with wanderlust in our hearts and perennially itchy feet. Ok, running may not always be the answer, but you should definitely trust your gut. If something feels off about a place or a person, it probably is. Chances are that the feeling of unease is your survival instinct, and not your paranoia, that is telling you it’s time to be moving on. 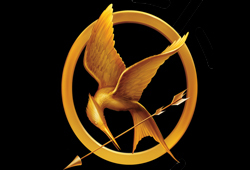 Unlike the actual Hunger Games, travellers don’t need to put themselves into dangerous situations to “win”. A traveller wins by enjoying the experience, trying something new and making it home safe and sound. Being self-sufficient and traveling independently doesn’t mean that you can’t interact with others. Whether they are locals or fellow travellers, we can all gain something through our interactions. It can be something as simple as a recommendation for a great restaurant or site that is off the beaten track or something deeper like a shared meal or experience. These kinds of interactions serve to enhance the travel experience and (hopefully) lead to more meaningful interactions with the destinations you visit. In traveling, as in life, things never go exactly according to plan. I think of it like planning a wedding – no matter how hard you try, something is destined to go wrong. If you prepare yourself for things to go wrong beforehand, it will be much easier to take issues in stride when they pop up. And remember, if everything went perfectly it probably wouldn’t be much fun anyways. When your allies are killed off, your flights are cancelled and things generally go to hell, it is easy to throw up your hands and give in to self-pity or anger. Instead, try to concentrate on the unique opportunity you are presented with. Just like a knife only becomes sharp when it is rubbed against the side of a stone, we only grow as people and adventurers when we are challenged. Lost in a city? Enjoy seeing a side of the town that most travellers don’t have a chance to see. Encountering delays or difficulties? Roll with the punches and enjoy the extra time you have in a location. A lot of people will never have the opportunity to be where you are. And besides, things are good because no one is trying to kill you (hopefully). So next time you are travelling, remember The Hunger Games. Hilarious post, loved that the advice is true and yet slightly humorous in that lets hope we are not all fighting to the death. I just finished the series myself and was absolutely enthralled. I really enjoyed the books as well, and I was pleasently surprised that the first movie was fairly well done. I also know that I would probably be one of the first to die if I was in the Hunger Games. Its probably a good thing I will never have to fight for my life on live tv.